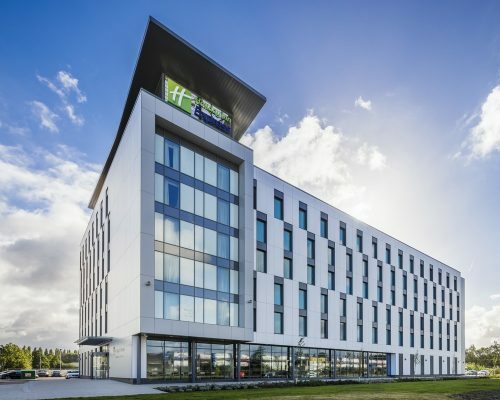 This new 220 bedroom hotel, built off-site from purpose built steel shipping containers, is located at Manchester’s Trafford City. It is the first hotel in the North West to be built using this particular type of volumetric modular construction. Volumetric modular construction is a method of off-site construction where a large portion of a building being constructed as a series of separate modules in a controlled environment; typically a purpose built factory or large manufacturing warehouse. Chapman Taylor UK-designed Buyukyali Masterplan scheme, set to become one of Turkey’s most exciting residential-led mixed use developments. The vast scheme was launched at MIPIM 2016. It is set along the Marmara Sea with a new community built along the Istanbul Kazlicesme coastal road promises to become a highly sought after new residential quarter. 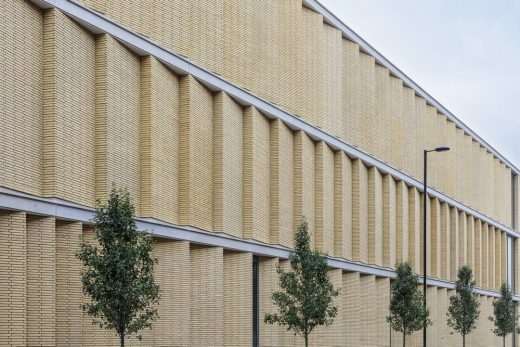 This building development has an undulating roof and comprises of top restaurants. Spiceal Street Birmingham : more information online soon. At the core of the design are two iconic elegant black structures – a carbon-fibre ‘craft’ hovering over street level, and a 50-metre high tower symbolising a U-shaped magnet suspended over water. The site is one of the most significant in India, being the last waterfront plot in Nariman Point in central Mumbai. This is the principal commercial area in the country and has the highest office rents per sq ft in the world. Chapman Taylor designed the integration of shops, cafes and bars into the new two-level concourse areas of this 1868 Grade 1 listed building. The Paris and Brussels Eurostar services together with the new fast commuter services from Kent transfered to St Pancras and 40 million passengers a year will pass through the station. October 14, 2017 in Architects.